So you have DirecTV satellite TV and you want to change to DISH. Good for you. However, you have a rooftop DirecTV Winegard Travler that you bought for a lot of $$$. What to do? Spend another couple of thousand to buy the DISH version of the Winegard Travler? There’s no need to do this. 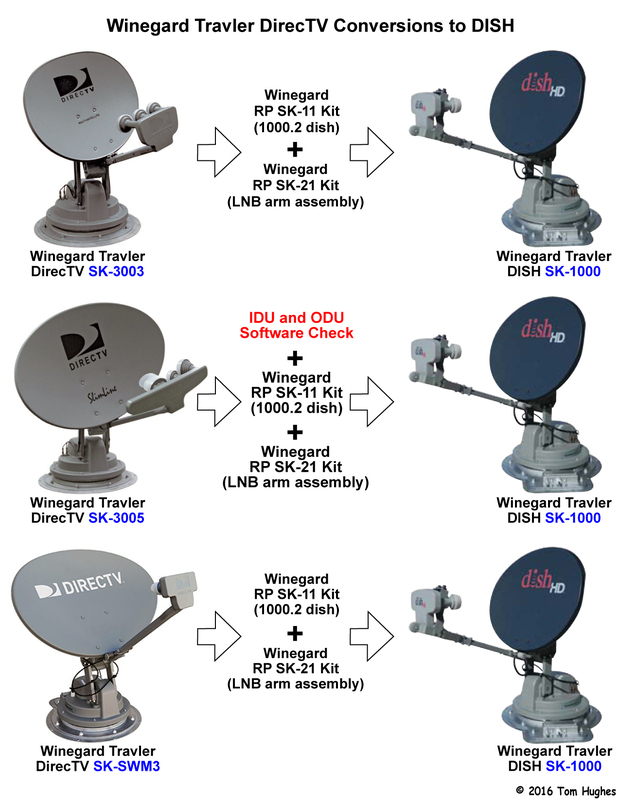 You can convert almost any DirectTV Travler to its DISH counterpart for just a few hundred dollars. Here’s how . . .
First, determine what type of DirecTV Travler you own . . . there are 3 versions: SK-3003, SK-3005, SK-SWM3. 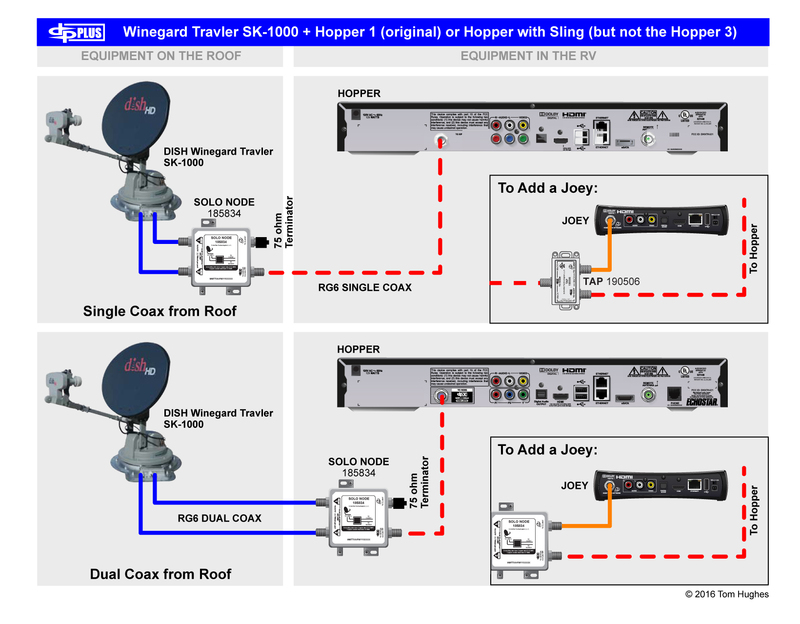 If you have a DISH Winegard Travler, you should connect it to a DISH Hopper with maybe a Joey or two. 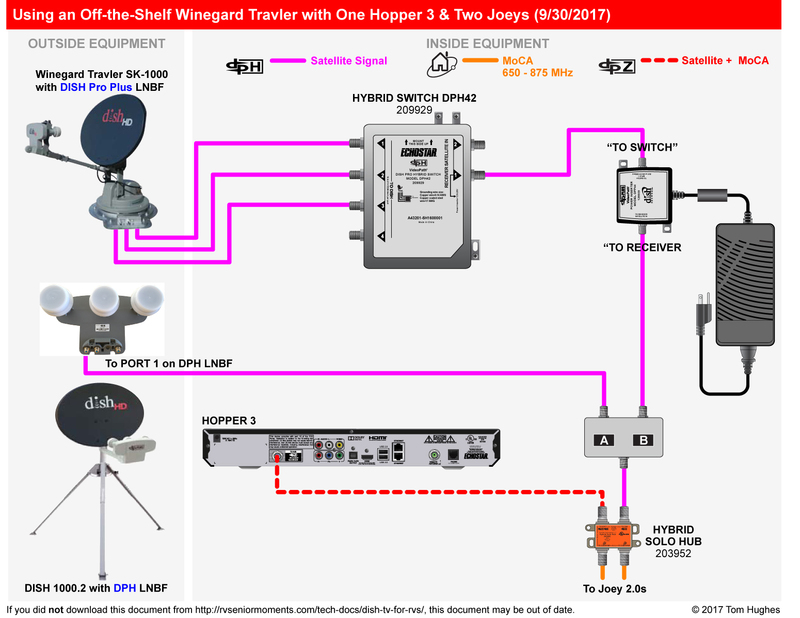 The Hopper is DISH’s version of the DirecTV Genie — a whole home DVR system.